Shown above is a triangle of any shape or size. Incentre of a triangle - The incentre of a triangle is found by bisecting the three angles of any triangle. The three bisectors will always meet at the same point. (Shown above where the Green lines meet.) If they fail to do this in your drawing it is down to inaccuracy. 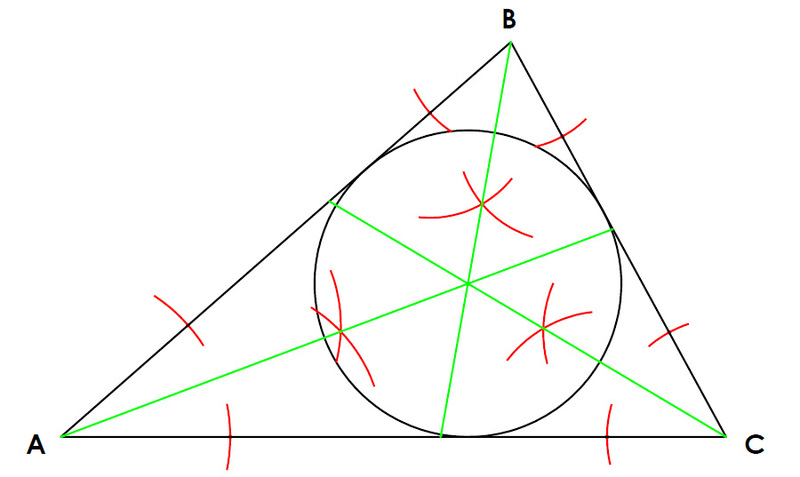 Since the three bisectors will always meet at the same point, it will suffice to only bisect two angles. 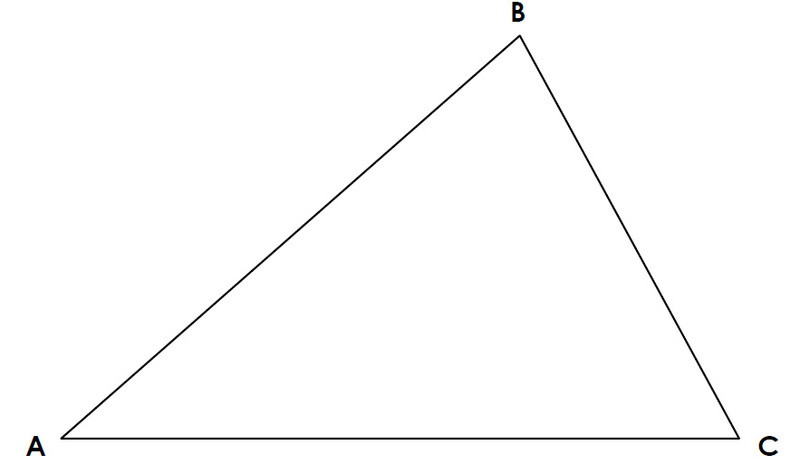 A question you will often be asked in Technical Graphics is to inscribe a circle into the given triangle. This simply means to find the incentre of the triangle and to draw a circle inside the triangle. This is not to be mistaken with Circumscribing a triangle. Inscribing a Circle into a Triangle - If you join three lines perpendicular from the three sides of the triangle to the incentre, they will all be of equal length. These perpendicular lines will give us the radius of our incircle and Points of Contact, where our incircle touches the triangle.